Title: Simple Church: Returning to God’s Process for Making Disciples. In Simple Church, Thom Rainer and Eric Geiger seek to apply the “simple revolution” of the last few years to the way church is done in America. 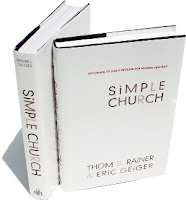 Recognizing that “the healthiest churches in America tended to have a simple process for making disciples” (ix), Rainer and Geiger began a research project which confirmed that there is a “highly significant” correlation between the simplicity of a church and its ability to thrive. After conducting their research, Rainer and Geiger conclude that “church leaders need to simplify” (4). Thus, the aim of their book is to encourage and equip these leaders to produce simple and revitalized churches. The book is divided into two parts. The first part describes the “simple revolution” in general and provides definitions and examples of what a simple church looks like. In chapter one, Rainer and Geiger assert that “simple is in. Simple works. People respond to simple” (8). This observation drives the rest of the book. After noting that companies like Apple, Google, and Southwest Airlines capitalize on simplicity, they argue that Jesus himself was the “original simple revolutionary” (16). In chapter two, Rainer and Geiger recreate two church consultation trips so the reader can “see a simple church in action” (31). One of these churches is an established church with many programs and multiple vision statements. The other is younger and has experienced consistent growth in recent years. Rainer and Geiger compare and contrast the methodologies of these two churches, highlighting the complexity of the former and the simplicity of the latter. Borrowing the metaphor of Extreme Makeover: Home Edition, in chapter three, Rainer and Geiger demonstrate the need of many churches to reconstruct the way they “do church.” They define a simple church as “a congregation designed around a straightforward and strategic process that moves people through the stages of spiritual growth” (60). They then describe their research method. Deciding against an extended set of case studies, they opted for a more expansive survey approach. They randomly selected from both growing and declining churches to participate in the survey and then sent the data to an independent statistics analysis company for processing. The first phase of research was limited to Southern Baptist churches, and the second phase included the other major evangelical denominations. Whereas part one defines and illustrates a simple church, part two attempts to enable church leaders to transform their churches into simple churches. Chapters five through eight each develop one of the concepts of clarity, movement, alignment, and focus. To have an effective simple church, leaders must clearly articulate the vision of a simple process of discipleship (clarity). They must strategically design their programs to move their members to deeper levels of commitment (movement). They must ensure that every program is part of the same simple process (alignment). Finally, they must refuse to add any program to the church’s agenda if it does not contribute to the simple goal of making disciples (focus). Chapter nine summarizes the process of becoming simple and provides four practical steps designed to achieve the four elements of a simple church. Two primary strengths of this book are its overall purpose and its clear structure. Rainer and Geiger intend to provide church leaders with “a framework for a simple ministry process” (236). They achieve this aim by clearly describing the need for simplicity in church life (chapter 1), defining the nature of a simple church (part 1), and delineating the actual process of becoming this type of church (part 2). While these features of this volume should be carefully considered by any church leader, there are few concerns. Rainer and Geiger consistently present the idea of a simple process of disciple-making as “revolutionary.” The simple church is “discovered” (ix) rather than re-discovered. Consequently, a serious discussion of the biblical foundations of disciple-making is absent from the book. Most often, the motivation and evidence given for an assertion comes from survey research or statistics rather than Scriptural texts or theological principles. 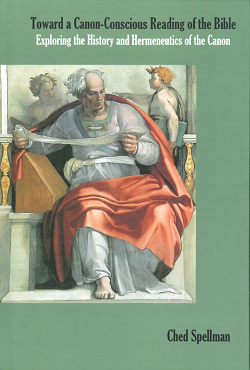 The biblical text is used primarily as an illustration rather than as a foundation. A representative statement as to why the reader should accept a given point is because it “has been validated by our research” (111). Thus, the chief motivation given in Simple Church for doing church in this manner is because “simple is in,” rather than because the New Testament mandates disciple-making.